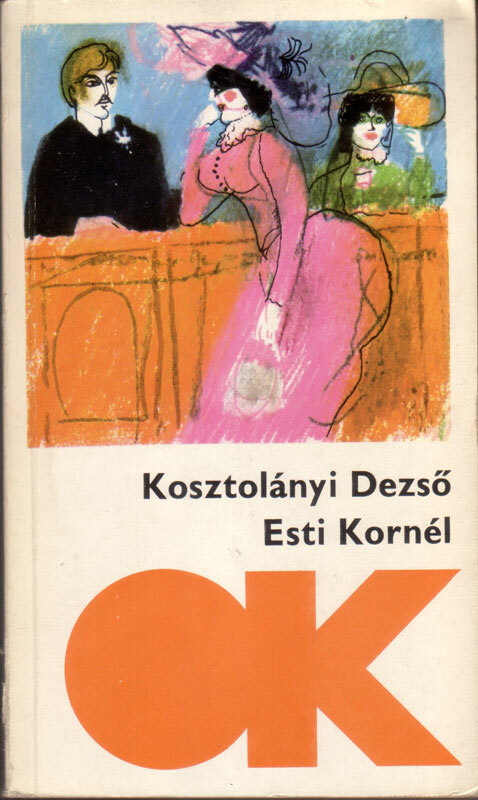 Kornél Esti is the alter ego of the writer, a writer himself. He has no biography, appears in innumerable short stories sometimes as protagonist sometimes as narrator, sometimes as an observer. 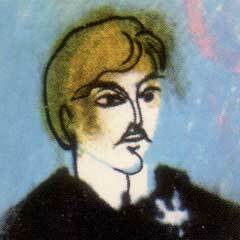 He was born in Austria–Hungary somewhere before WWI. We meet him in the 1920s and 1930s in his forties. When as a child he enters school tremblingly, his mother stops holding his hand. From that onwards he has nobody at all. As if he had no parents, no siblings, he has no lovers, no wife, no children. He has no relatives, but he is akin to everything and everybody. “I love everything and everybody, every nation and every region.” - he says. He lives the life of a frivolous artist, spends his days and nights in smoky cafés in Budapest in the company of friends and he travels abroad by train. Life brings its sometimes bitter, sometimes happy presents to him during those travels. He does not want to solve the secret of life he only wants to contemplate it as a journey. He respects and pities every human being. He is aware that in the end and in the most important things we are not able to help one another. The biggest thing is to utter the words desperately awaited by our fellow humans. He has no goal, no career, no character, no identity. He is everyone and nobody. That is why his character is so appealing and his travels are so painful. Photo by József Pécsi taken before 1927. 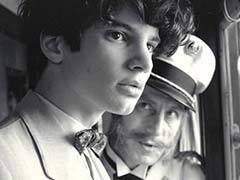 “He loved to live and was afraid of death from his early youth.” (Antal Szerb). The poet, writer, translator, essayist, and journalist worked for Nyugat (West), one of the most significant literary journals of the 20th century. He was born in Szabadka (Subotica, in Serbia today). His grandfather of noble birth was a Hungarian soldier and a cashier and had a huge impact on him; he had told him fairy tales, taught him to write and read and taught him English, too. 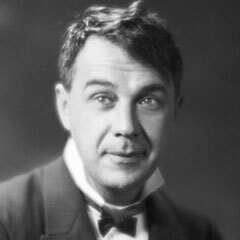 He founded his poetic career with the poem cycle entitled Complaints of the Poor Little Child (1910). 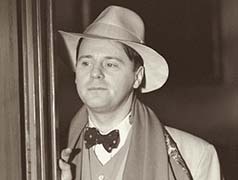 His novels known abroad as well were published in the 1920s: Nero, the Dark Poet (1922), Skylark (1924), The Golden Dragon (1925), Anna Edes (1926), Kornél Esti (1933/1936). He reveals the psychological processes of human fate with sharp depiction of social conditions. His literary translations are significant, he translated Shakespeare, Oscar Wilde, Molière, Calderón, Rostand, Byron, Rimbaud, Rilke, Kipling, Poe and Japenese haikus. He corresponded with Thomas Mann and Gorky. His friendship with his fellow writer, Frigyes Karinthy, was legendary. They kept pulling each other’s leg: they regularly organised each other’s funeral. One of them improvised a funeral oration with the goal to make the other one, acting the dead, laugh. He spent the most of the last three years of his life in hospitals because of his tumour. His last volume of poems is entitled Account (1935). 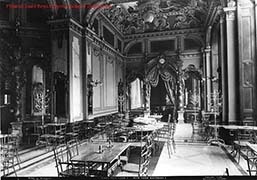 There were more than five hundred cafés in Budapest at the beginning of the last century. 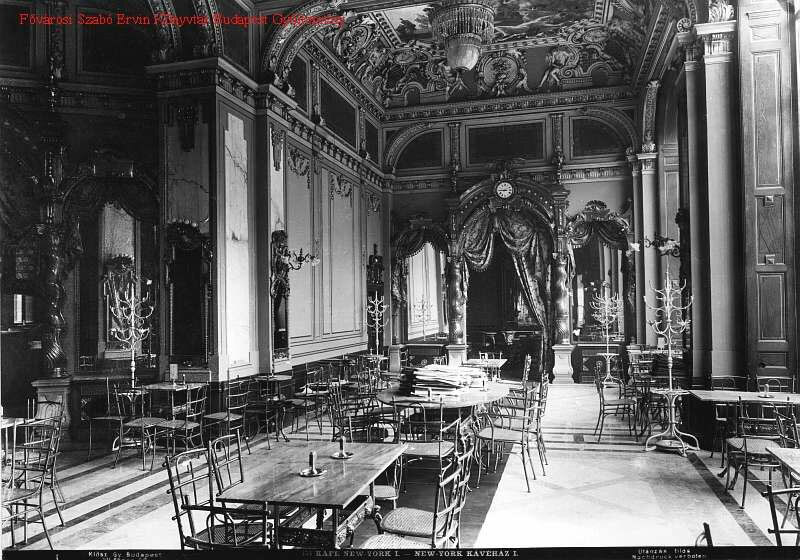 It was customary to live one’s life in a café among literary men: many wrote their works there, the editors received the authors there, they edited there and read the newly published paper there. Some writers were regular customers and could buy their coffees on credit, and it also occurred that the art expert head waiter – estimating the newly written piece of art – gave a deposit. An enthusiastic group of writers decided to launch the literary journal Nyugat in a cafe. Great individuals, talented generations made their publications on the columns of the paper that existed for thirty-three years. The journal overturned, changed and determined the literature of the 20th century with its modernising ambitions. The name of the journal suggested following the endeavours of western literature but it also aimed at continuing progressive Hungarian traditions. Talented youth joined the journal and became significant authors of Hungarian literature on the columns of Nyugat (Dezső Kosztolányi was one of them), neglecting the attacks from conservative literary circles. 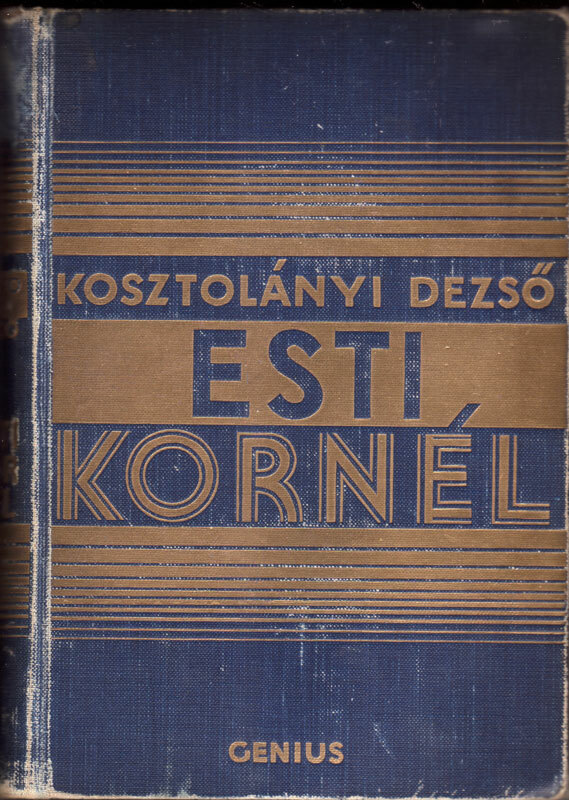 The double personality was a current issue when writing the Kornél Esti-stories. The origin of the idea is to be found in the then very popular Freudian psychology: the examination of the conscious and unconscious, in a wider sense the exciting examination of the duality of the self, how the one adapting to society influences the other one violating regulations.